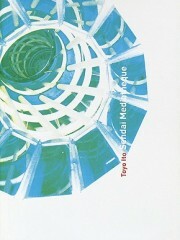 Calling him a “creator of timeless buildings,” the Pritzker Jury further praised Ito for “infusing his designs with a spiritual dimension and for the poetics that transcend all his works.” Among those works, the Jury singled out his Sendai Mediatheque, whose innovative use of structural tubes “permitted new interior spatial qualities.” The book Sendai Mediatheque presents the process of design and construction of Ito’s prototype during the six years between the building’s initial design through to its completion in 2001. The Mediatheque aspires to integrate real and virtual worlds – or, in Ito’s words, “the primitive body of natural flow and the virtual body of electronic flow”. Long after its completion, the Mediatheque is still evolving as an evolutionary building that combines the virtual and real into one design objective.